This double sided Island station is great for 4 people. It comes equipped with cutouts for your electrical needs and two rectangular double sided mirrors to create a modern look in your salon. 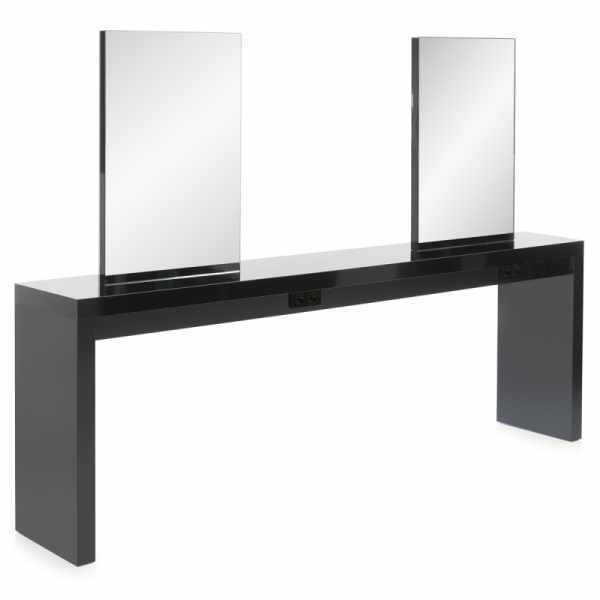 This station so available in black or white gloss finish.